Local history lovers, rejoice–the second edition of the Encyclopedia of Local History has just been published by AltaMira Press. Under revision for the past few years by editors Carol Kammen and Amy H. Wilson, it’s a significant update from the 2000 edition and comes in at 655 pages as a result of 200 contributors and a gazillion entries (okay, I’m exaggerating a bit). Encyclopedias are for quick reference, not reading from A to Z , however, if you’re a local history buff, you would enjoy dipping in at random and learning about a topic (copyright or culinary history), organization (Cambridge Group or History News Network), or source (maps or inventories) from some of the best minds in the field including Stuart Blumin, John Bodnar, Simon Bronner, Michael Kammen, David Kyvig, Brown Morton, Mary Beth Norton, Sandra Oliver, Philip Scarpino, and Carol Shull. This encyclopedia also includes entries on every state of the union and Canada (and some other English-speaking nations), providing a “history of local history” that identifies major achievements, leaders, scholars, and books, and in the back are appendices on ethnic groups, religion, state historical organizations, and National Archives facilities. I’m proud to be the contributor for the entries on the National Trust for Historic Preservation and on house museums in the 21st century (yup, you’ll want to read my predictions on the next 90 years). I’m also delighted to be gathered with many friends and colleagues as contributors as well, including Mary Alexander, Bob Beatty, Tim Grove, Dean Herrin, Janet Vaughan, Jay Vogt, and Amy Webb, and even though we don’t see each other very much, we’ll always be together in the Encyclopedia. 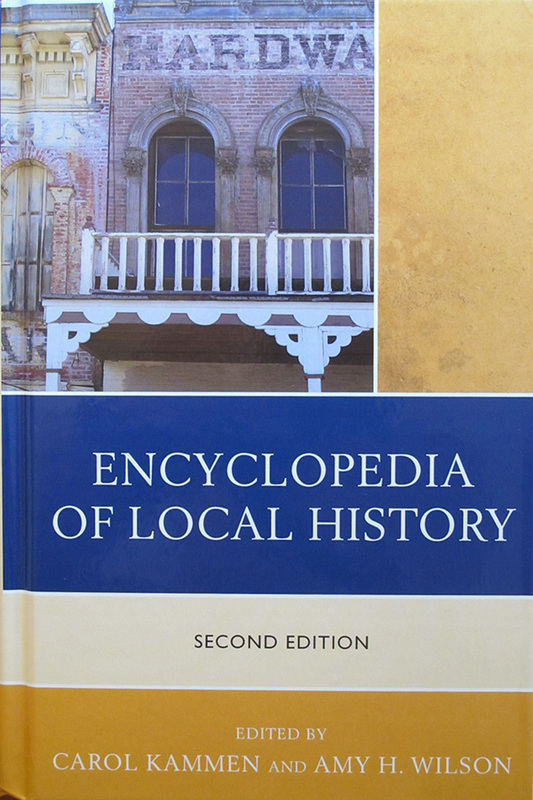 The Encyclopedia of Local History, Second Edition is available from AltaMira Press for $125.